Nintendo’s online service for the Switch also grants you access to some classic Nintendo games, and the NES library even provides a filter so it looks like you’re playing them on an old school CRT television. Unfortunately for some players, playing those games with this filter on has left them with an afterimage on the screen. Not every player has experienced this, but the ones who have are understandably concerned. The afterimage appearing for some looks a lot like “burn in,” which is a shorthand for describing when an image on a screen burns into the screen itself, permanently damaging it. 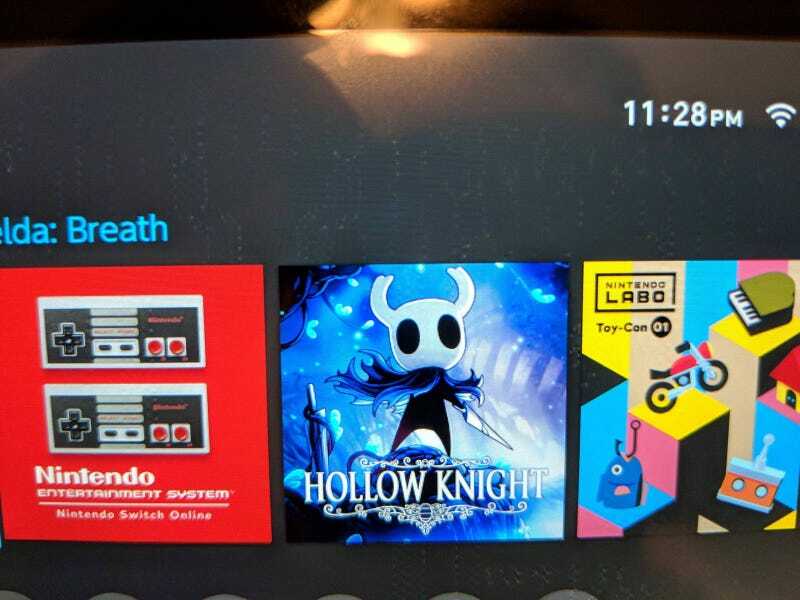 Reddit user Matdave bought the Switch’s online service last night and began playing some old NES games right away, only to notice a discoloration on their Switch’s screen afterward. On both Reddit and and the gaming forum ResetEra, other players have also been reporting that playing the classic NES games in CRT mode has lead to discoloration in their screens. Another Reddit user called PCgaming4ever decided to test out the CRT mode and see if they could replicate it, and they could. After observing it in action, PCgaming4ever told Kotaku that they believe it’s a rendering issue. “The reason I realized it wasn’t your typical ‘burn in’ and was in fact some type of rendering issue due to it actually displaying the color of the ladder still,” PCgaming4ever said over Reddit private messages. Another difference between this glitch and burn in: the pixels move. Kotaku reached out to Nintendo regarding this issue and they did not respond in time for publication. This glitch is still worrisome for players, especially if they don’t realize that they haven’t permanently damaged their screens. Both players that talked to Kotaku said they hope Nintendo fixes this problem. Matdave thinks they should at least disable the CRT filter for the time being.